Improving process control. Developing OEM sensors. 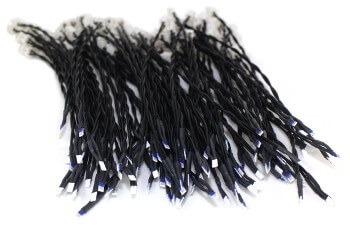 We manufacture large volumes of custom temperature sensors for inclusion in our customers products (OEM integration and electronic manufacturing services), often providing design input to help bring unit costs down. We have designed novel and innovative sensors for many industries and currently provide contract manufacture of sensor assemblies including pt100 sensors for anaesthesia machines and pt1000 sensors for industrial print-heads. 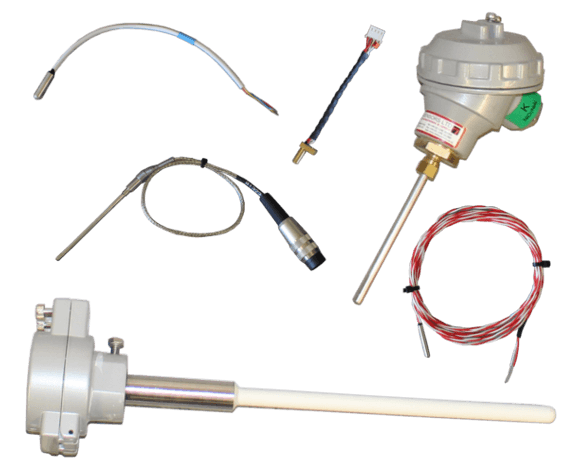 Whether it be planned maintenance, an unexpected sensor failure or a new requirement, we manufacture replacement temperature sensors to your requirements. These can be brand new sensors or repairs utilising existing parts. For any application, selecting an optimal sensor design is never straightforward. There are over 10 thermocouple types alone, without even considering appropriate sheath materials or construction options. We can help you identify exactly what your requirements are, and either provide a direct replacement of what you already have or the most appropriate sensor for your application. Why do brands like BP, Ardagh and Special Metals, and thousands of small businesses buy from Peak Sensors? Because Peak Sensors provides consistent quality, excellent customer service and is home to 20 years of temperature sensor expertise.